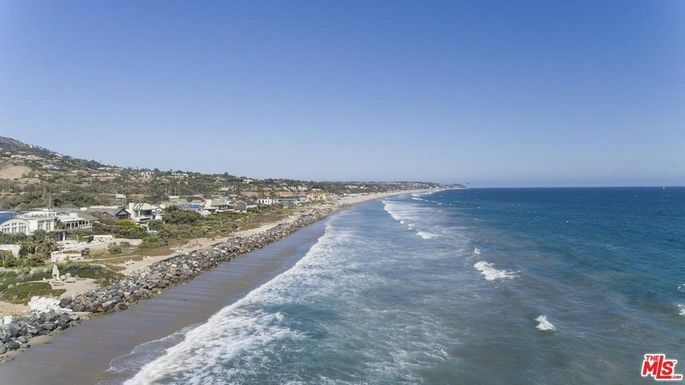 Malibu is known as a place for beach rentals, but it’s never been known as a spot for bargain beach rentals. Espcially during the sunny summer months, when rent prices tend to heat up even more. 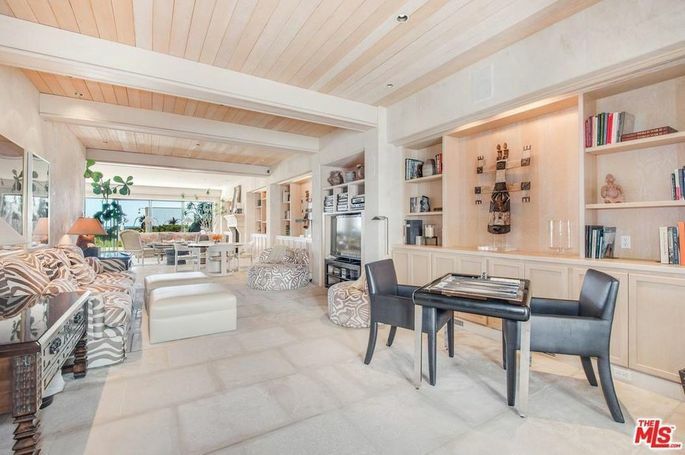 Still, it’s a bit of a jolt to hear that this spread that’s part of the Barbara Sinatra estate has a six-figure price tag. 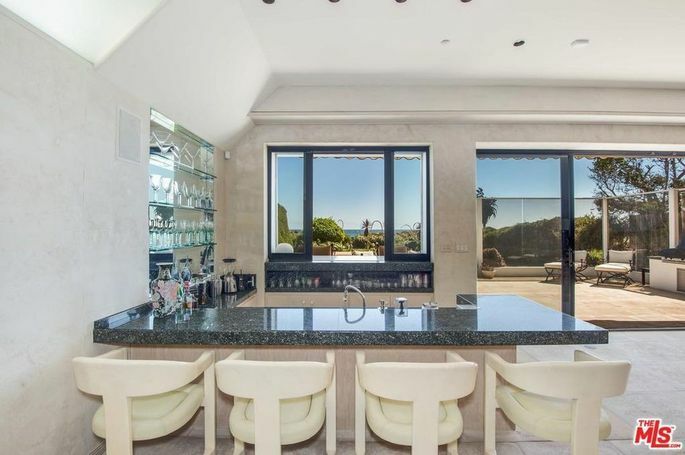 Yes, the Barbara Sinatra beach house is now up for lease for the first time ever, available for $110,000 per month. What do you get for that princely sum? 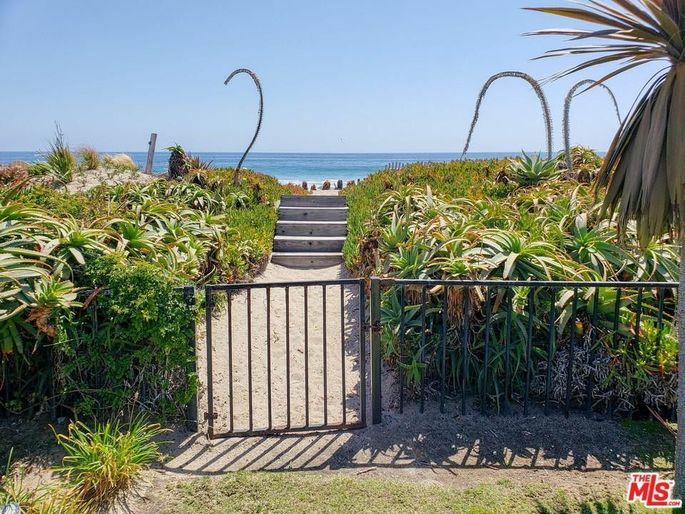 Measuring 5,824 square feet, the seven-bedroom, nine-bathroom house has a pool and spa and is located on Broad Beach, one of Malibu’s most glamorous beaches, even though it’s been dealing with sand erosion issues of late. But celebrities have always flocked to the area. In addition to Barbara and Frank Sinatra, the beach has also been home to actors Pierce Brosnan, Goldie Hawn, and Dustin Hoffman, among others. 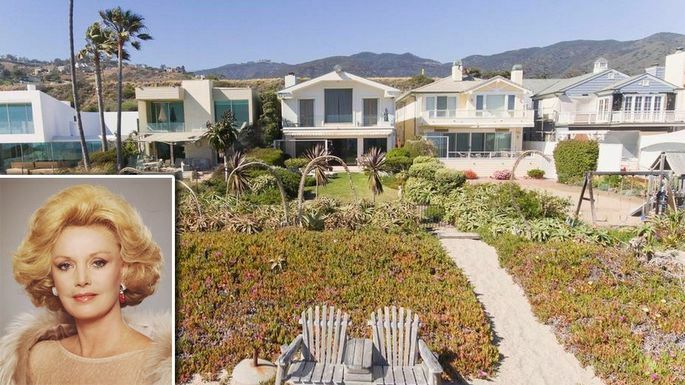 Don’t tell anyone, but my giant white Labradoodle Frankie Feldman has also been known to stroll its sandy shores when the tide is low. A spacious master suite with two lavish bathrooms, a steam room, hair salon, and spa tub, plus an elevator to get you there and back when you’re just too sunburned to climb the stairs. The outside space is perfect for parties, featuring a large patio with a built-in barbecue, an indoor-outdoor bar, and a grassy yard that leads to the ocean. The home is available with its elegant furnishings, which were designed to complement the breezy beach setting. You can just imagine Ol’ Blue Eyes and his love lounging on the balcony, toasting each other and the spectacular view. Barbara died last year, at age 90. She had inherited lavish homes in Palm Springs, Beverly Hills, and Malibu from her husband when he died in 1998. Frank was her third husband—she had previously been married to Robert Oliver and Zeppo Marx. Her legacy includes founding the Barbara Sinatra Children’s Center in Coachella Valley, a nonprofit that provides therapy and assistance for young victims of physical, sexual, and emotional abuse. If you’d like to read more about the Barbara Sinatra beach house, see my feature on Realtor.com. ← SOMEBODY FEED PHIL Rosenthal Pizza!